Phil Lachapelle, influenced by his mother’s artistic talent, began sketching automobiles in his early teens. After earning a bachelors degree from Providence College in Rhode Island and experiencing 2 years in automobile sales he was accepted by ART CENTER COLLEGE OF DESIGN in Los Angeles. There, he completed seven semesters of courses in automobile design, product design, art techniques, color theory, perspective and illustration toward a graduate degree in Industrial Design majoring in Transportation. An economic recession, limiting design positions in the 4 major automobile manufacturers necessitated a career diversion into a commercial television sales career. During that time Phil maintained his artistic expertise by producing sketches and landscape paintings. After retiring in 2000 he became a full time oil painter with pencil and acrylics as his second mediums. Lachapelle, heavily influenced by his Art Center training, describes his painting as “realistic impressionist” enriching his California scenes of Yosemite, the Sierra, the California Gold Country and The Wine Country. His visits to Italy, France and Belgium inspired him with their architecture, color and textures. His art is highlighted by paintings from the Northern Italian Lakes District, Siena and Tuscany. 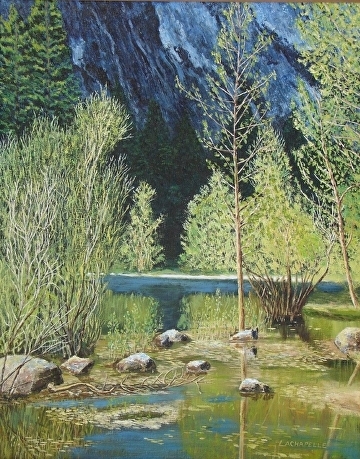 Having hiked the trails of Yosemite, traveled throughout the Sierra and experienced the colors of New England, he feels well equipped to paint the surroundings and colorful landscapes that these locals have provided him. Phil has been fortunate to have received inspiration from attending workshops by a number of impressionist artists such as Anita Wolff, Kathleen Dunphy, Ned Mueller, Charles Muench, Calvin Liang, Victoria Brooks and Vicki Catapano. His greatest influence comes from nature. 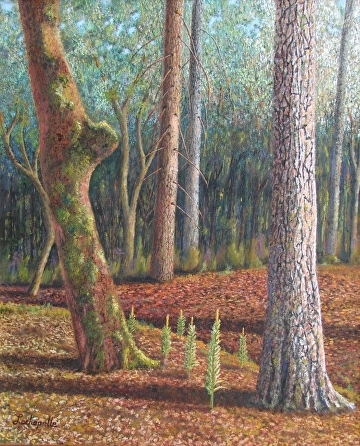 He derives particular enjoyment when painting textures from trees, barns, foliage and water reflections. Lachapelle’s award winning work has been exhibited at art association shows, outdoor exhibits and national shows. He maintains affiliations with the Placerville Arts Association, El Dorado Hills Art Association, Folsom Arts Association and the California Arts Club. 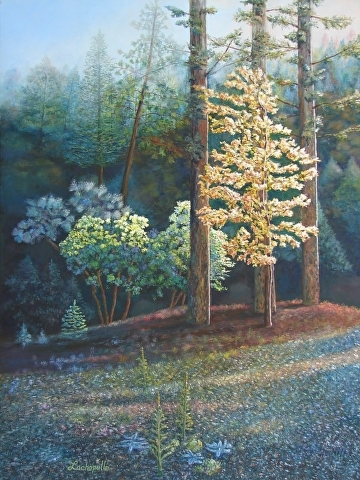 His art is on display at the GOLD COUNTRY ARTISTS GALLERY in Placerville, CA.